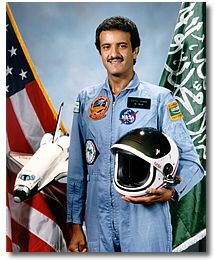 Following his spaceflight in June 1985, Salam joined the Royal Saudi Air Force as a fighter pilot. He retired as a colonel in 1996, according to his official biography. Before being appointed to head the space agency, Salam served as the president & chairman of the Saudi Commission for Tourism & National Heritage (SCTH) since 2008. The king provided no details on the goals of the new space agency. The announcement was part of a shakeup of the government’s leadership in which the king named new ministers and security chiefs. Saudi Arabia has signed bilateral space cooperation agreements with various countries as well as companies such as satellite Internet starup OneWeb and NanoRacks, which flies experiments to space. Many of the nation’s space activities are run by the King Abdulaziz City for Science and Technology (KACST). The kingdom signed a memorandum of understanding (MOU) in 2017 to invest $1 billion in Richard Branson’s three space companies – Virgin Galactic, The Spaceship Company and Virgin Orbit. The MOU included an option to invest up to $480 million more in the companies. However, Branson suspended talks on the investment after Saudi dissident journalist Jamal Khashoggi was murdered and dismembered inside the Saudi Consulate in Istanbul, Turkey in October.